"I believe the world needs an effective liberal empire and that the United States is the best candidate for the job. All I mean is that whatever they choose to call their position in the world — hegemony, primacy, predominance or leadership — Americans should recognize the functional resemblance between Anglophone power present and past and should try to do a better rather than worse job of policing an unruly world than their British predecessors." 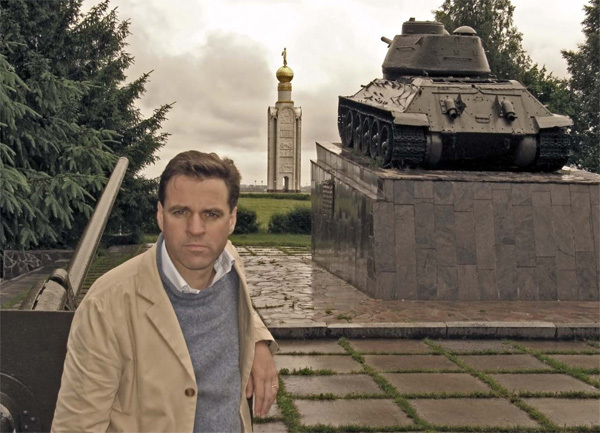 Niall Ferguson is Tisch professor of history and Ziegler professor of business administration at Harvard University. At the age of 43, Ferguson has produced eight books, and has another two in progress. And all while commuting among Harvard, the Hoover Institution at Stanford (where he is a senior fellow), and the United Kingdom, where his wife Susan, a media executive, and their three children live. In 2002-3, for Britain’s Channel 4, he wrote and starred in a six-part history of the British empire. In 2004, he followed with American Colossus—both programs based on his books. And in 2006, Britons watched his six-part The War of the World. Graduating with first-class honors in 1985, he was a demy (a foundation scholar) at Magdalen College until 1989. He then spent two years as a Hanseatic Scholar in Hamburg and Berlin, where he learned German, worked on his dissertation (subsequently his first book, Paper and Iron: Hamburg Business and German Politics in the Era of Inflation, 1897-1927), and worked as a journalist for British and German newspapers. In 2004, the year he arrived at Harvard, Time magazine included him in its list of the 100 most influential people in the world. Ferguson is emphatic about the benefits that accompanied British rule: "Without the spread of British rule around the world, it is hard to believe that the structures of liberal capitalism would have been so successfully established in so many different economies around the world." The War of the World takes the reader on a long and gruesome march through the century-long racial tensions and economic uncertainties that led to the Second World War and the descent of the West into unimaginable horror. "Had Britain stood aside — even for a matter of weeks — continental Europe could therefore have been transformed into something not wholly unlike the European Union we know today — but without the massive contraction in British overseas power entailed by the fighting of two world wars." Ferguson must finish his book on Siegmund Warburg: "I was gripped by the most important and certainly the most perplexing tragedy of modern history, which was the tragedy of the Jews." Ferguson suggests that the Scots are in many significant ways similar to the Jews. Niall Ferguson is a glamorous figure, a relatively young Harvard professor of history with a string of well regarded books to his credit and with roots in Britain, first as a Glaswegian Scot and then as a brilliant young Oxford don. His specialty, if you can call it that, is the history of the last three centuries on both the global and European levels, with particular focus on economic and financial history. His first book, based on his doctoral thesis, was on the house of Rothschild and its massive influence through its banking activities on wars in Europe in the nineteenth century. His most famous book, The Pity of War, was about the 1914-1918 war and speculated on how much better the history of the twentieth century might have been if Britain had not declared war on Germany but instead let Germany win, and perhaps establish a German empire stretching from the Atlantic to the Pacific. His point was that the Germans could conceivably have stamped out communism before it became a menace and as a result made the whole fascist movement less murderous. With that sort of background, a reader naturally has high hopes for his new book on the Second World War and its causes and consequences. The story fills the frame set by the twentieth century, from September 11, 1901, to the rise of militant Islamism a hundred years later. The motif for the title is the H.G. Wells novel, The War of the Worlds, about a Martian invasion, which seems nicely to prefigure the genocidal impact of the war machines that gave the century its unique brand of horror. The central thread of the narrative is the argument that multiethnic communities in Europe and elsewhere were driven both by racism and by economic instability to commit murderous atrocities whose scale and intensity were unprecedented in human history. 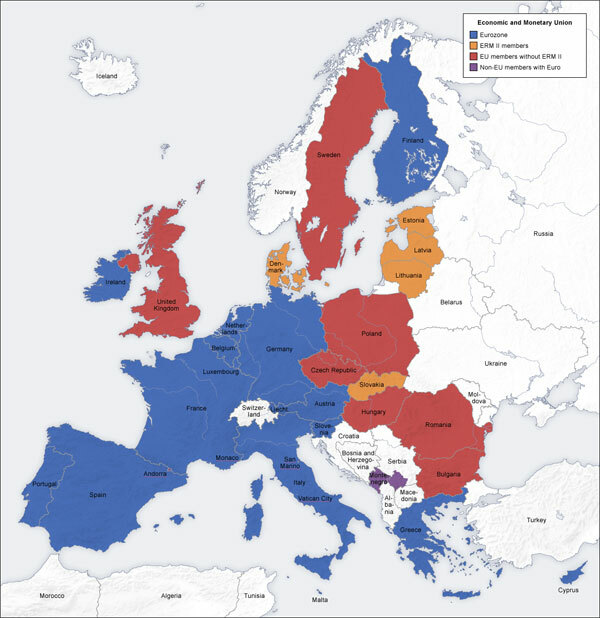 There are three caveats to the argument: (1) mixed communities without racist tension can survive economic stress without bloodshed, (2) communities that see themselves as racially mixed can prosper together if their economic circumstances are stable, and (3) strong empires can contain multiethnicity and economic turmoil, but weak or decaying regimes cannot. In short, the outcome is that racism plus hard times equals trouble. Ferguson's main claim with regard to Nazi Germany is that economic turmoil generated by (1) the hyperinflation in the Weimar Republic in 1923 and (2) the depression following the Wall Street crash in 1929 in combination with (3) ongoing communist agitation within the industrial workforce inspired by the emergence of Soviet Russia was a sufficiently large triple whammy to make Germans susceptible to racist provocation. As to the Germans' understanding of their own racial identity, a rich tradition of artists like Goethe and Wagner had romanticized it and philosophers like Nietzsche and Spengler had thematized it, with the result that agitators like Hitler and Goebbels could relatively easily grasp and subvert it. As usual in such scurrilous undertakings, Jews were chosen as the prime scapegoats. Jewish prominence in the world of finance and in the rise of the Bolsheviks was enough to make them targets. As for the imperial context, both the Russian and the Austro-Hungarian empires had gone and the new order in Europe was unstable. Ferguson dwells long enough on all this to make it clear that Nazi racism was absurdly irrational and unscientific, whether directed against Jews or Slavs or any other aliens relative to the Aryan prototype. He also points out in detail how similar racist sentiment accompanied the Japanese drive into China from 1931 on. Happily, his history flies high above the military details that every educated reader can be assumed to know ten times over from previous histories, so all we have to read in this book are fresh details about aspects of the whole sordid tale of the genocidal wars of the mid-century that resonate with the concerns we still have as we confront the challenge of surviving another century with the same old human atavisms just below the skin. Happily, too, he continues the story through the more murderous episodes of later decades, right up to the breakup of Yugoslavia and the genocide in Rwanda, to establish that 1945 did not end the dynamic his narrative demonstrates. All of which seems well and good, in the sense that a thesis that looks reasonable is sustained through a barrage of historical facts that together should suffice to convince an unprejudiced reader. The central claim that the natural racism of any human group can become transformed when hard times destroy the economic environment within which the group is accustomed to living, and tranformed moreover into murderous insanity that available technology can amplify to genocidal atrocity, is surely plausible. This is not special pleading for murderers. But it is a warning. Humans cannot help but form groups with their own ideas about who is in and who is out. We are always the best, and the dummies or the lefties or the fascists or the unbelievers are always potentially at risk. Any of us, if pushed hard enough, will push back. On this crowded planet, where economic and other turmoil can spark conflict instantly and where local conflicts can instantly become global, we do well to remember that we can still be as dangerous as space aliens to each other. Ferguson has done sterling service in marshalling our recent history to remind us of this fundamental truth. The Nazi empire turned out to be the least successful piece of colonisation ever seen. 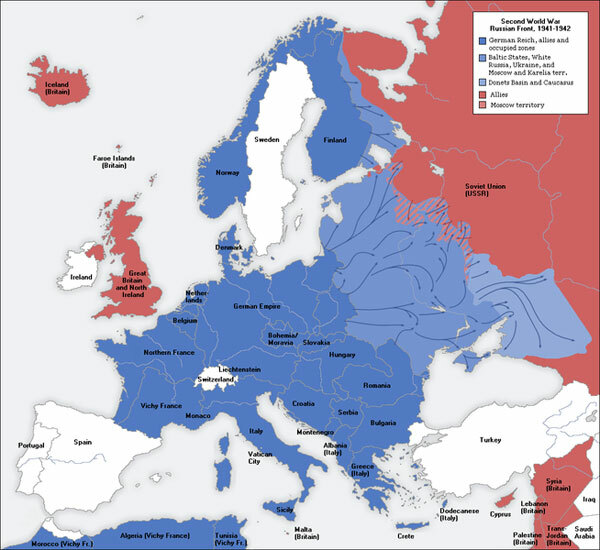 Launched in 1938, the campaign to expand beyond Germany's 1871 borders peaked in late 1942, by which time the empire encompassed around one-third of the European land-mass and 244 million people. Yet by October 1944 it was gone, making it one of the shortest-lived empires in all history, as well as one of the worst. Why was the Nazi empire such a horrible failure? Mark Mazower grasps the fact that the Nazi regime revealed its true character only in war and conquest. From the outset it was intent on being an empire. The Nazis always intended to regard the territories taken from the Soviet Union "from a colonial viewpoint", to be "exploited economically with colonial methods". The difference that most struck contemporaries was that, in eastern Europe, the colonised were the same colour as the colonisers. Yet the Nazis had no difficulty with that, thanks to the warped ingenuity of their own racial theories. The short duration of the Nazi empire was primarily for military reasons. Once the Third Reich was embroiled in a war with not only the British Empire but also the Soviet Union and the US, its empire was surely doomed. Yet Mazower's book offers a secondary, endogenous explanation for the Third Reich's failure as an empire. In terms of simple demographics, there was nothing implausible about putting 80 million Germans in charge of the European continent. In theory, it should have been easier for Germany to rule Ukraine than it was for Britain to rule Uttar Pradesh. For one thing, Kiev was nearer to Berlin than Kanpur was to London. For another, the Germans were genuinely welcomed as liberators in many parts of Ukraine in 1941. Yet the Germans failed to exploit these advantages. What went wrong? The answer can be given in four words: arrogance, callousness, brutality and ineptitude. All empires are prone to these vices. But the Nazi empire took them to such an extreme that any possibility of sustainable rule was destroyed. Later empires worried about winning hearts and minds. The Nazi empire was both heartless and mindless. After Operation Barbarossa, Red Army prisoners were treated with such vicious indifference that by February 1942 only 1.1 million were still alive of the 3.9 million originally captured. Herded together in barbed wire stockades, they were left to the ravages of malnutrition and disease. Nor were the Nazis content to starve the conquered. They also relished inflicting violence on them, ranging from impromptu beatings all the way to industrialised genocide. Added to arrogance, callousness and brutality was downright ineptitude. The SS aspired to establish some kind of centralising grip on the empire. But Mazower shows in detail how Himmler and his lackeys bungled the resettlement of 800,000 ethnic Germans. Yet ultimate responsibility for the dysfunctional character of the Nazi Empire lay with Hitler, whose preferred method for pacifying occupied territory was "shooting everyone who looked in any way suspicious". Hitler was a specialist in destruction, whose empire could not hope to endure. Sir Ian Kershaw's monumental biography of Hitler is now republished in a single volume. Kershaw's early work focused on popular attitudes towards the Third Reich. But as his biography evolved, the centrality of Hitler became inescapable. As Kershsaw writes in Hitler, The Germans and the Final Solution: "No Hitler: no SS-police state ... no Hitler: no general European war by the late 1930s ... No Hitler: no attack on the Soviet Union ... No Hitler: no Holocaust." In many ways, Hitler's empire was the reductio ad absurdum of a concept that by 1945 had passed its historical sell-by date. In the course of the 20th century, it gradually became apparent that an industrial economy could operate perfectly well without colonies. Germanisation of the east was an impossibility. Easternisation of Germany was far more likely. By the end of 1944 around five million foreigners had been conscripted to work in the factories and mines of the old Reich. By a rich irony, the dream of a racially pure imperium had turned Germany itself into a multi-ethnic slave state. AR Abysmal horror. Such humiliating incompetence from a people otherwise so practically talented suggests a hidden agenda. I see the Nazi drama as Wagnerian opera — a recrudescence of classical paganism punching a fist into the face of pious liberalism.